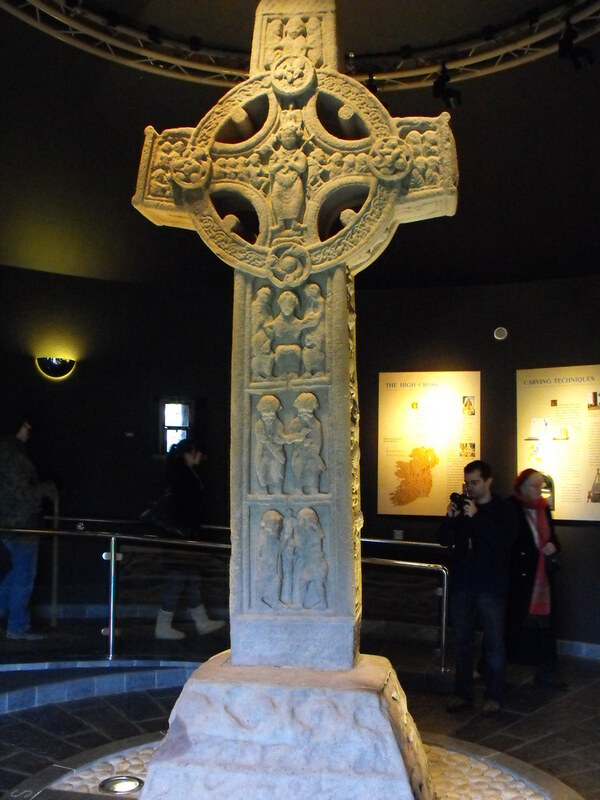 The Standing Stone: The Cross of the Scriptures, Clonmacnoise, Co. Offaly. 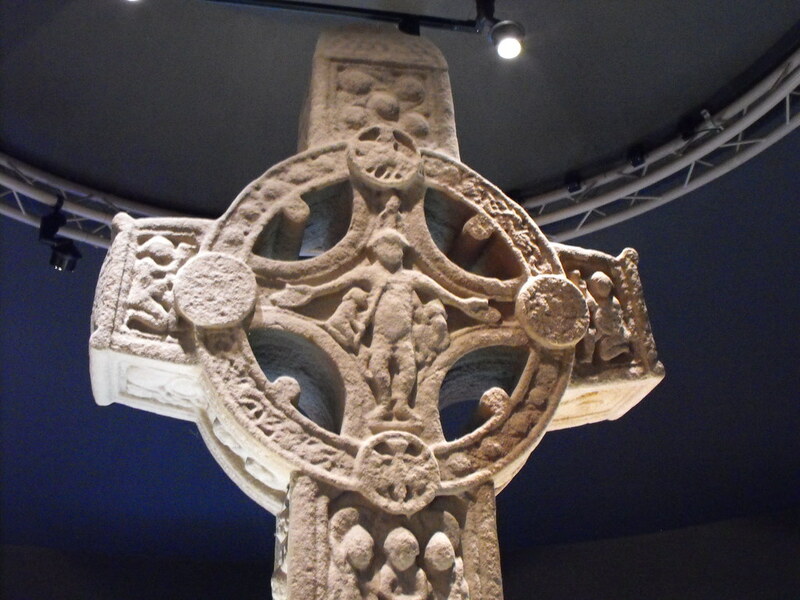 The Cross of the Scriptures, Clonmacnoise, Co. Offaly. 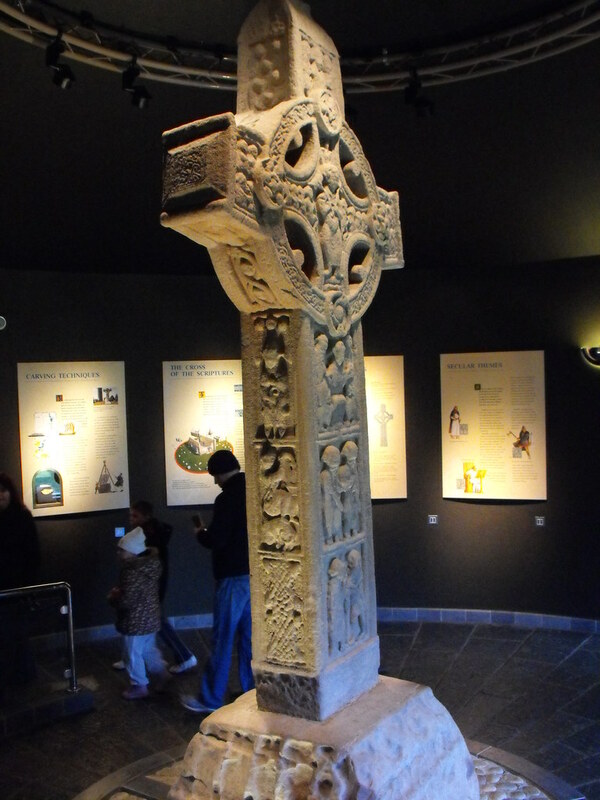 Location – The original cross is now kept in the visitors centre while a replica is where the cross was in the main Clonmacnoise site. 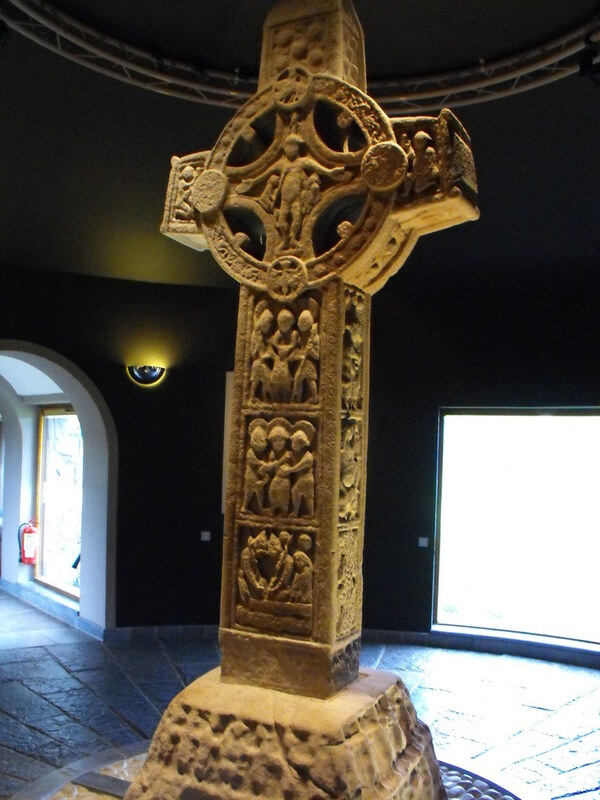 As the cross is in the visitors centre, there is no need for map references. 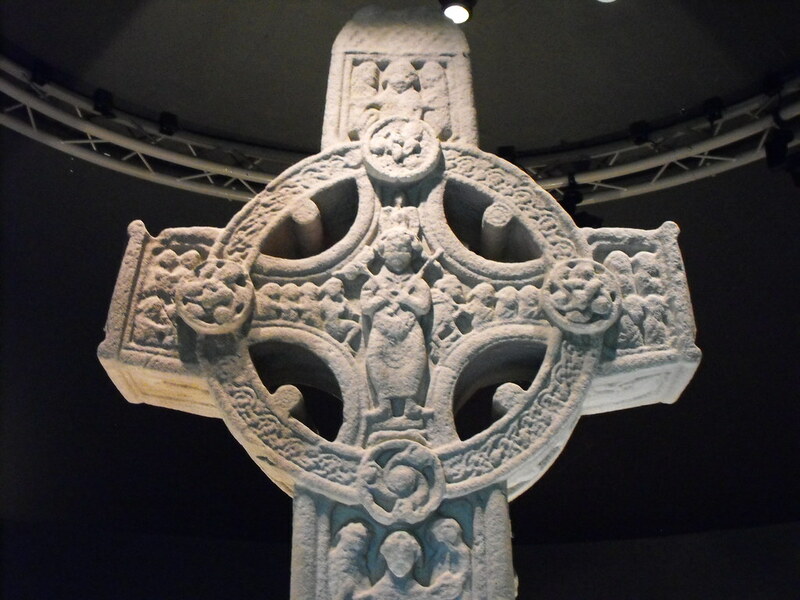 Description and History – This cross is simply stunning and has to be right up there among Ireland’s finest, if not the finest. 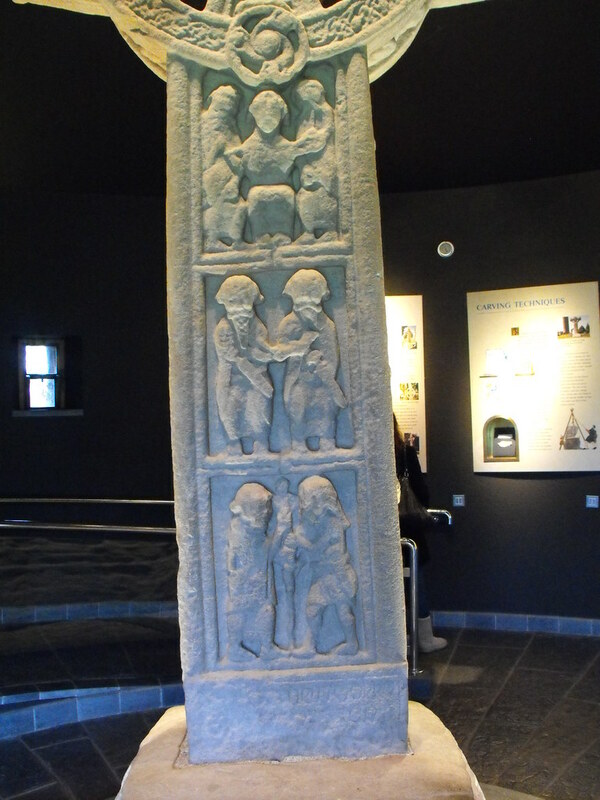 Standing at 4m in height the original now stands in the visitor's centre well away from the erosive power of the weather. 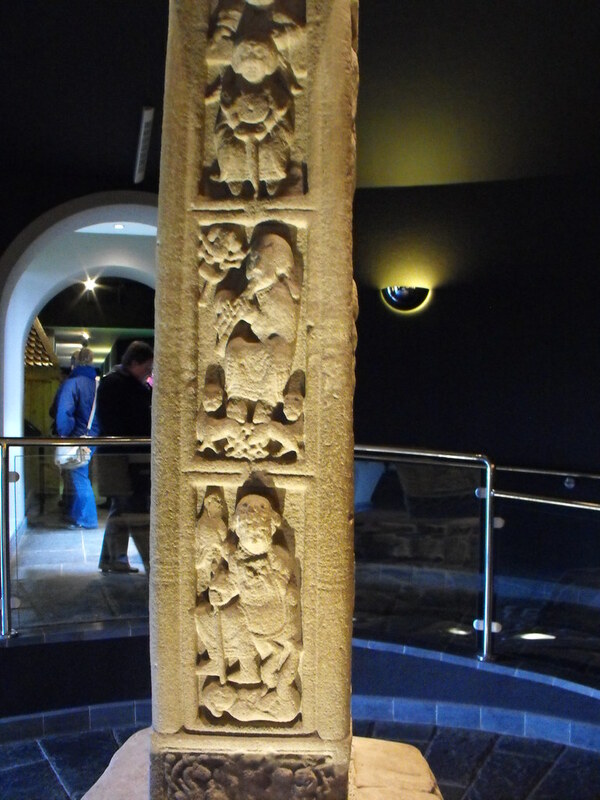 In its place a replica now stands so you can see what it was like in situ. 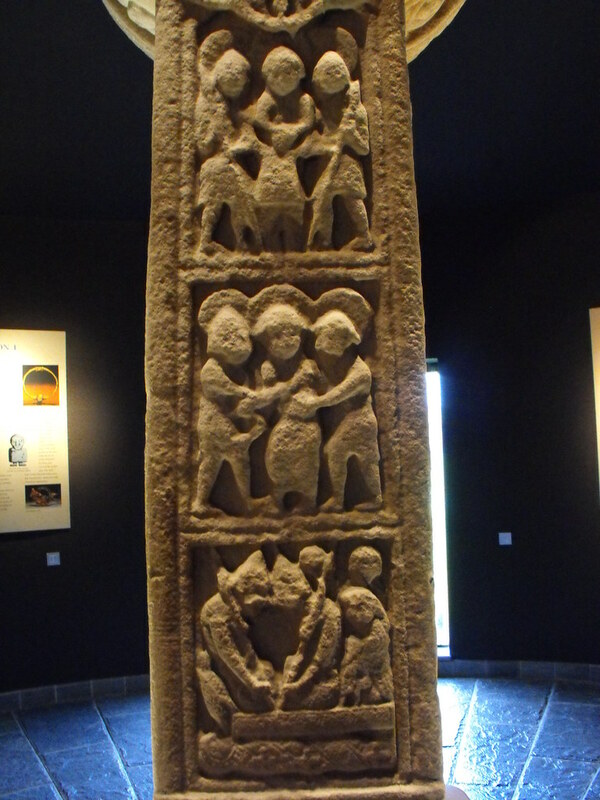 This cross dates to the early 10th century and has the standard crucifixion scene on the West face. 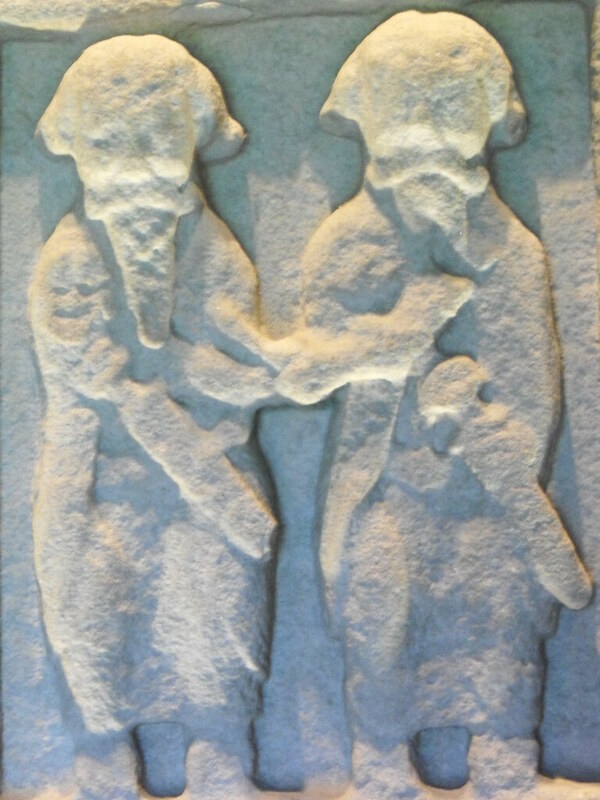 The Last Judgement and Christ in the tomb also appear. 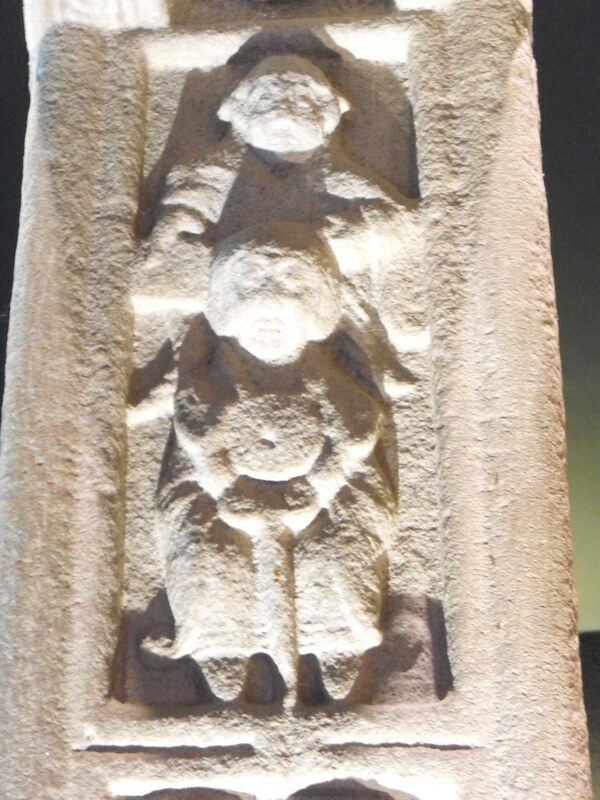 There are also many non-biblical scenes including a warrior holding a pole which may be a representation of Abbot Colman or King Flann who erected this cross, as witnessed in the inscriptions at the base of the shaft. 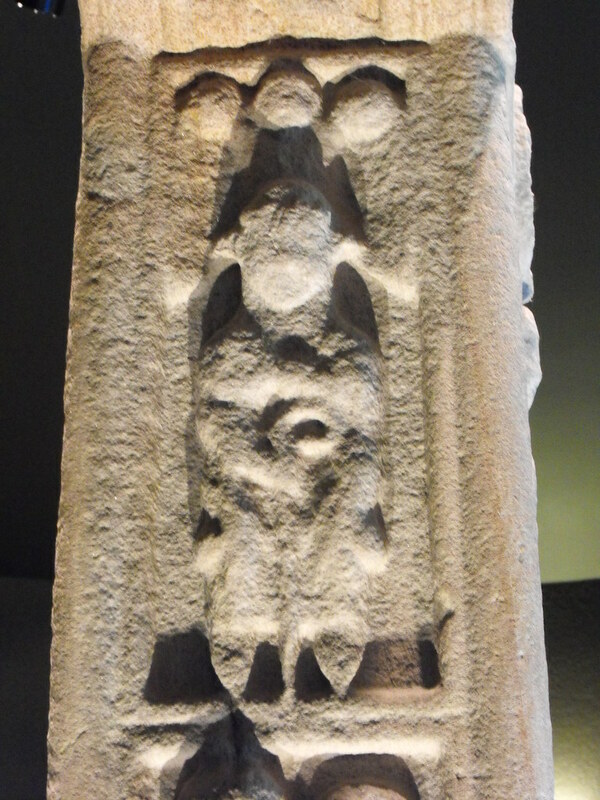 The head of the cross and the shaft are carved from a single piece of stone and then slotted into the pyramid shaped base. Difficulty – This could not be easier and is probably one of only a handful of high crosses in Ireland that is actually wheelchair accessible. 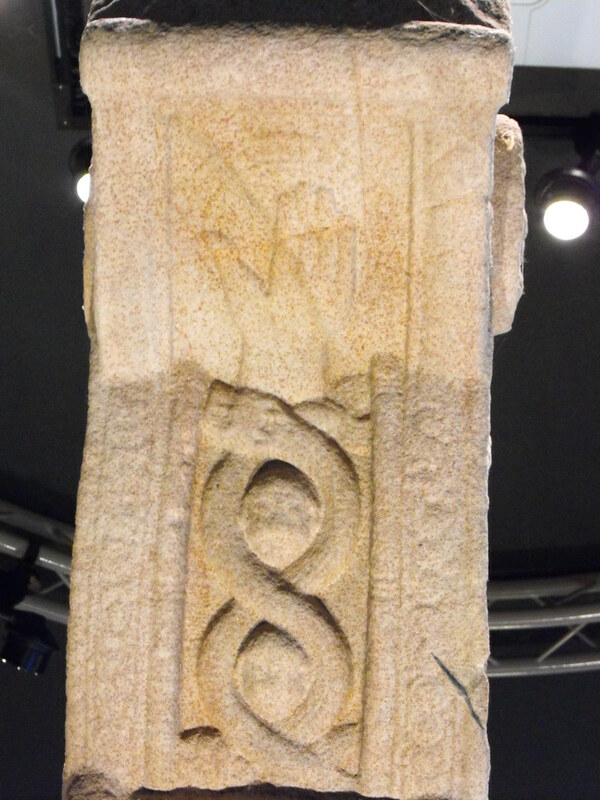 The W face with the crucifixion.